Liposuction is a cosmetic procedure that aims to remove fat from the body using a suction method. The cosmetic surgeon will use a small, thin and blunt-ended tubes, called cannula, to be inserted under the skin in the required part of the body through very small (keyhole) incisions. What are the different types of Liposuction methods? Tumescent – This technique involves numbing the incision area with a local anesthetic. The surgeon will then inject a large amount of an anesthetic solution directly into the fatty tissue using a thin and long needle which numbs the tissues towards any sensations. The surgeon can then use the cannula to remove the numbed fatty tissues easily and without any discomfort to the patient. Ultrasound-Assisted – This Ultrasound Liposuction technique requires using high-frequency focused ultrasound waves in order to dislodge the fatty tissues under the skin. 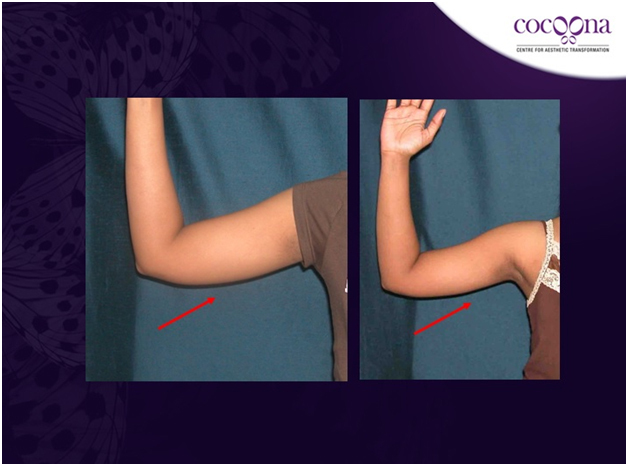 This makes it easier and more efficient to use a cannula to remove the dislodged fatty tissues from the body. Laser-Assisted – This procedure involves using the low-energy and focused beam of laser light to heat the targeted fatty deposit and to liquefy it. It gets more convenient and efficient to remove this liquefied fat using a cannula afterward. A liposuction procedure is a purely cosmetic procedure and is done as an outpatient procedure which allows the patient to go home the same day. How is recovery after Surgery? The doctor will use pressure dressing on the incision wounds and the operated area in order to reduce the swelling, bruising, and the pain after the surgery. Various medical accessories such as support hose, elastic tapes, and bandages, special girdle or another form of tight-fitting compression garment can be used depending on the part of the body that has been operated upon. These special dressings are usually advised to be worn for around 3-4 weeks. The swelling will normally subside completely within the first 7-10 days after the surgery. In some cases, the surgeon might be required to attach a surgical drainage tube at the incision site (especially if it is in the abdomen) and it will be removed usually after a few days. Antibiotics are regularly administered to avoid infection at the incision site. The main aim of the lipo surgery is to reshape various parts of the body by removing the small, yet stubborn, fat deposits that are mostly seen underneath the skin in the abdomen (tummy), hips, thighs, buttocks, back, arms, etc. This is not a weight-loss assisting surgical procedure but is a completely cosmetic procedure. Lipo surgery can also be performed in combination with another cosmetic procedure such as abdominoplasty (tummy tuck), facelift or breast reduction surgery. What are the success rates for a Lipo surgery? A lipo surgery is mostly effective in removing small and stubborn fat deposits from underneath the skin in various parts of the body. This surgery will be effective for as long as the patient maintains their weight to post-surgical levels. The patient may notice slight improvement directly after the surgery and the improvement continues for a few weeks (or a month even) as the swelling gradually subsides within this time. The full results of surgery may take around a few months to a year to materialize completely. Most patients are required to wear an elastic compression garment for a few weeks after surgery. What is the cost of a Lipo procedure?The cost of a lipo procedure mainly depends on the number of areas being treated.Hence the fee also differs from location to location. 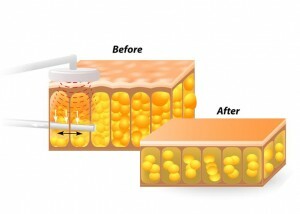 What can be expected from a Lipo Surgery procedure?After surgery, the shape of the body is more or less long-lasting.Therefore In case the patient puts on additional moderate weight after the surgery then the body shape will be a larger version of the new body shape as the fat cells removed by lipo surgery do not grow back.